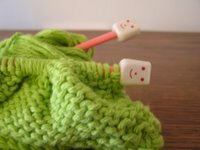 Being a knitter, is it nurture or nature? In my case, it is nature. 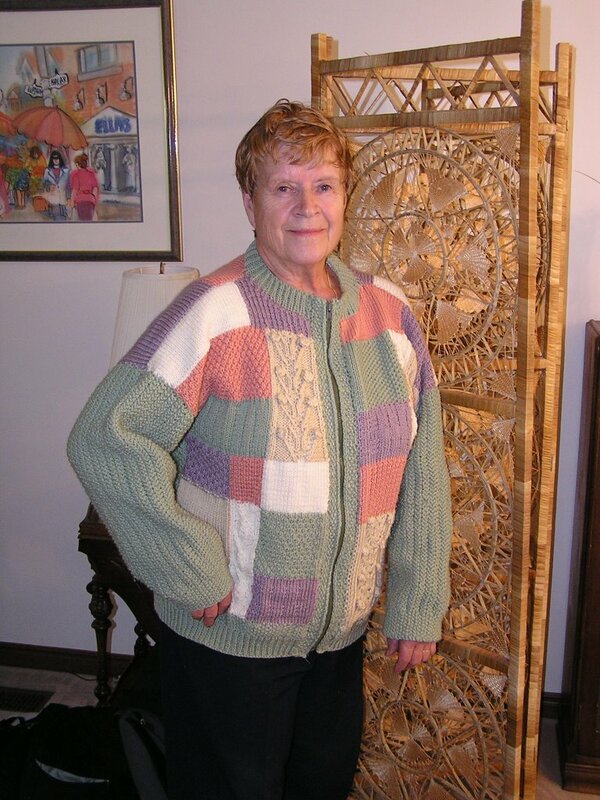 My mother is a long time knitter (as she turned 80 this year, she has been probably knitting at least 75 years), as was my grandmother (who I never knew as she died when my mother was 18). 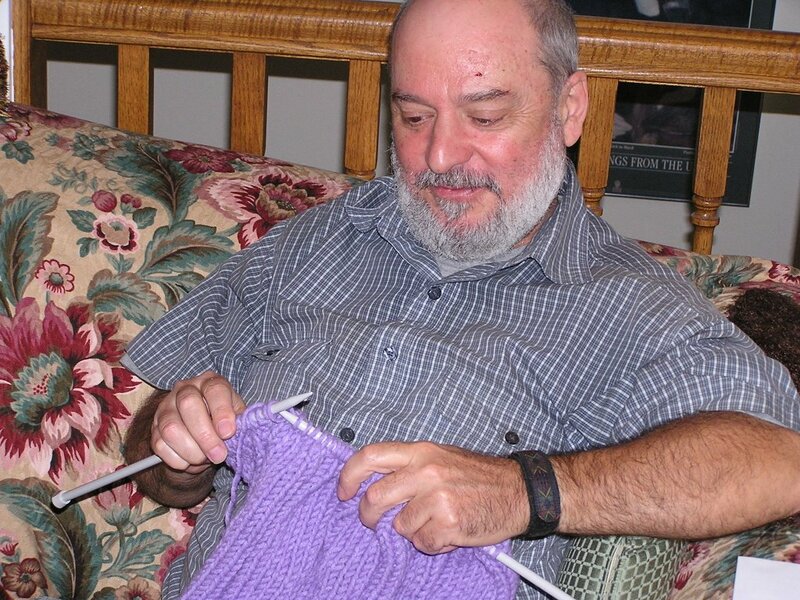 I went out to Guelph for the day to celebrate my brother-in-law's birthday, and thought it would be a good opportunity to talk about my mother's knitting. 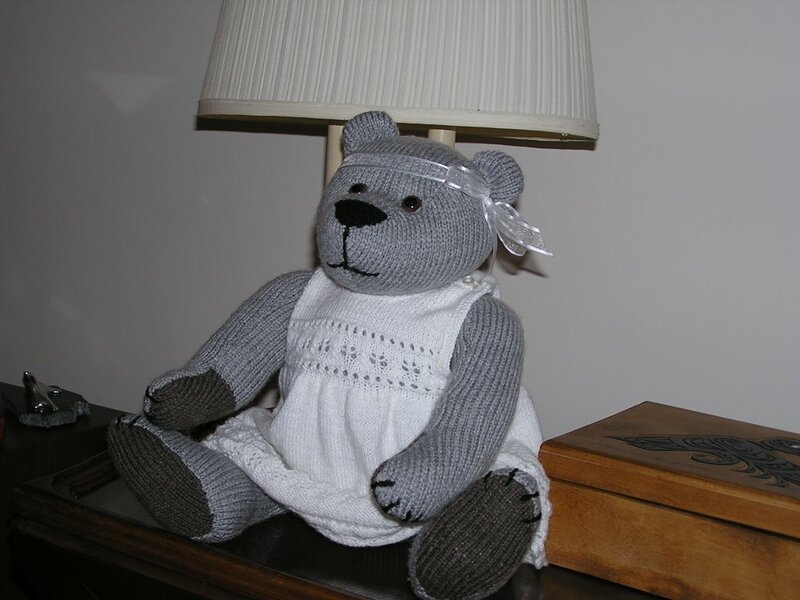 First of all, I should mention that my mother makes (sews) a lot of bears. They are beautiful creations that are made from fake fur, real fur, old wool jackets (tweed and herringbone), silk fabrics and sometimes mohair. 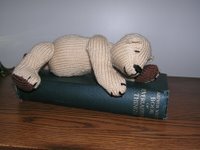 There has also been a fair share of knitted teddy bears as well. The ones for charities such as Teddies for Tragedies have been simple but lovely. Other have been of heirloom quality, one of which she gave to my childhood friend's baby daughter. My favourites are the simple ones that are just wonderful to have around and keep you company. Mom usually has at least a couple of projects on the go (another point for the arguement of a genetic disposition towards knitting) but has managed to finished a couple lately both big and small. For the big is this sweater. My good friend Gillian (who sells real estate if you are looking to buy property in T.O.) was looking for a home for a pattern and yarn that her mother couldn't get going on. I gladfully took it and passed it on to my mother with many thanks, and she finally finished it this month. 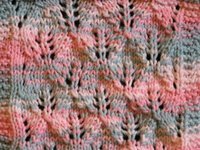 It is from Mary Maxim, and although my mother got through the bulk of it easy, she seemed to procrastinate on the last 1/2 of the second sleeve. Not sure why, as the results are great! 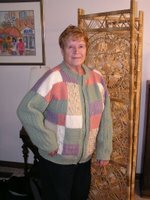 Finally, I got my mom 'involved' in an online dishcloth knit-a-long. 'Involved' in a convoluted kind of way as I have the pattern sent to me and then I forward them to her. Why? Well, although both my mom and dad spend a fair amount of time on the computer, it is easier for me to streamline the process. 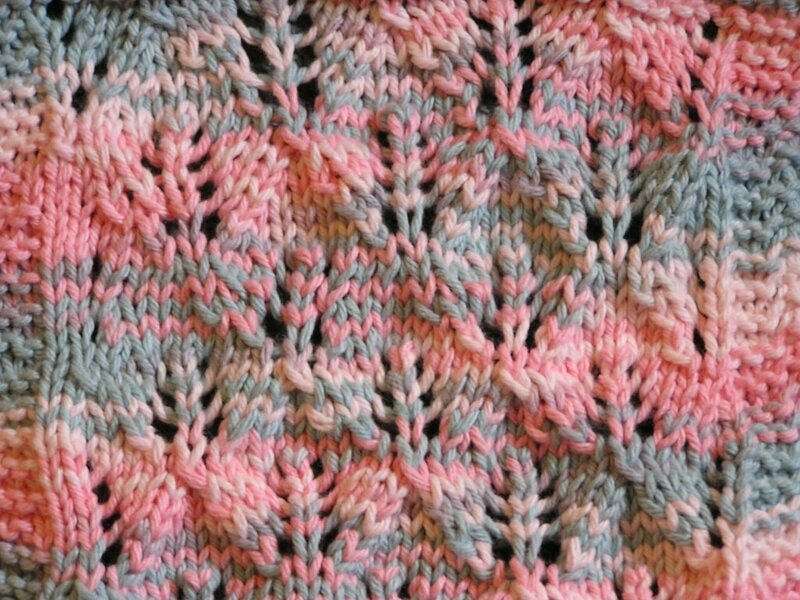 Anyway, here is her first dishcloth, and here are the needles she is knitting them with. They are from Zellers and are supposed to be for kids. Never mind the kids, I want a pair!!!! To finish this entry, I should show you a picture of my brother-in-law since it is his birthday. 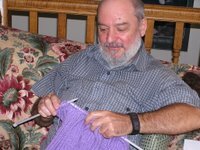 He doesn't knit, but he is quite convinced that he would be an excellent one if he did (I am just thankful he didn't drop a stitch on me!). Happy birthday Eric! 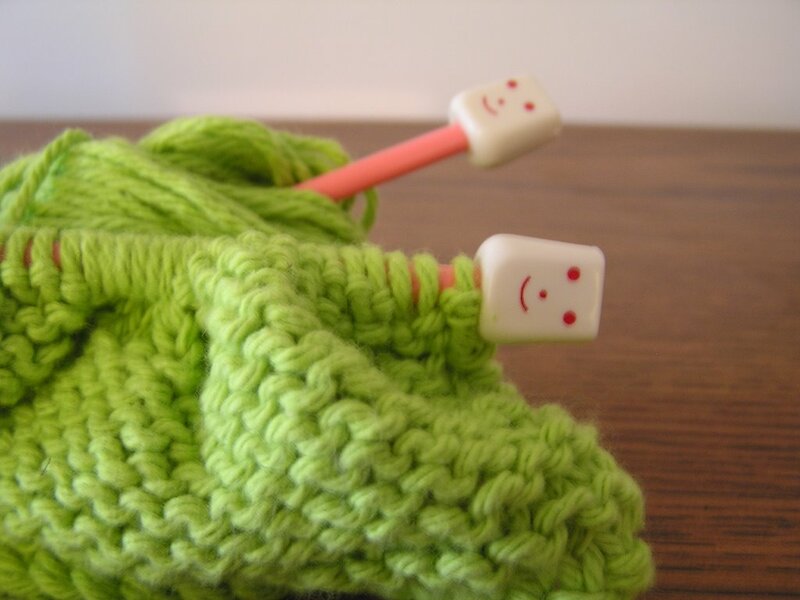 posted by shyknitter @ 8:38 p.m.